AIM Photonics Academy is a research institute at MIT where I’m currently working with a multidisciplinary team to build education simulations. This simulation introduces a component called a directional coupler which illustrates how light can oscillate between two parallel waveguides. Users are able to alter different features of the component such as the gap spacing between the two waveguides and see how their change affects this behavior. I'm currently working with a multidisciplinary team at an educational institute, AIM Photonics Academy, based at MIT. The Academy is the education wing of a larger organization, The American Institute for Manufacturing Integrated Photonics, which itself is part of an initiative called Manufacturing USA. The purpose of this initiative is to accelerate the development of advanced manufacturing in the US for several key technologies (including photonic integrated circuits). This is accomplished by providing education and aid to existing companies and professionals as well as training the next generation of scientists and researchers who will be entering these fields. My team is concerned with the latter. We're developing educational materials, primarily intended for undergraduate students, to introduce the fundamental concepts of integrated photonics. My role as the lead software developer for the team is to head the development of a set of interactive simulations in Unity. These simulations will be used as a supplemental resource to several MITx courses being developed by professors at AIM Photonics Academy. Students taking the course will use the simulations to get a more responsive way to look at the material they’re learning. Each simulation will feature a different component used in photonic integrated circuits. Users adjust different aspects of each component and see the result it has on the behavior of the light waves and the overall effectiveness of the circuit. 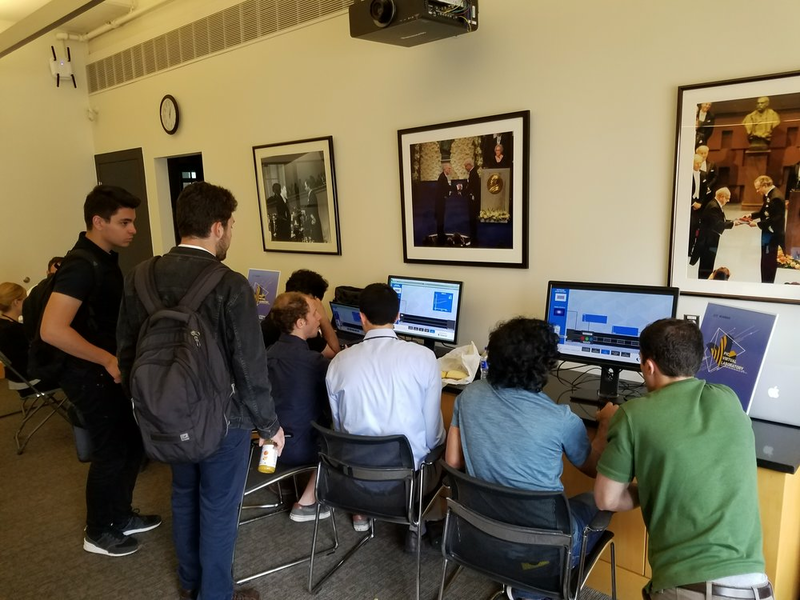 Attendees playtesting a prototype at AIM Summer Academy, a week long conference held by AIM on MIT's campus.